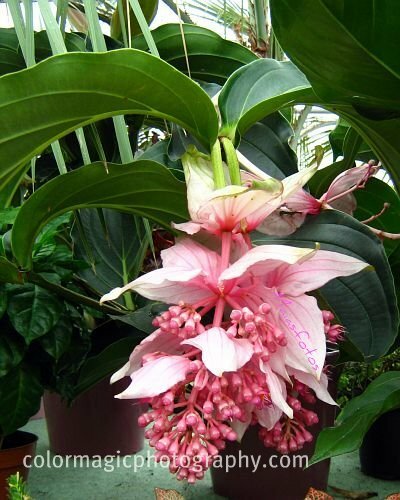 Medinilla is a genus of about 150 species of flowering, evergreen shrubs or lianas in the family Melastomataceae, native to tropical regions, east through Madagascar, southern Asia, western Pacific Ocean islands. 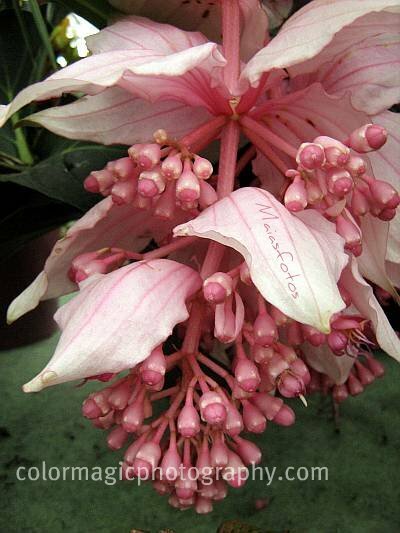 Medinilla magnifica is the only species grown as a houseplant, appreciated for its lush foliage and huge panicles of pink flowers. 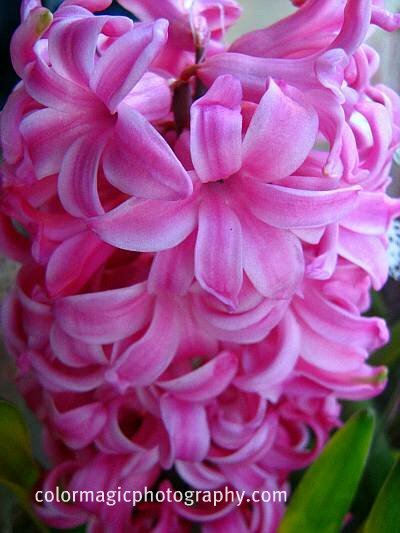 Also known as Rose Grape or Malaysian Orchid, Medinilla magnifica is native to the Philippines where it's often found as an epiphytic form (growing on trees). 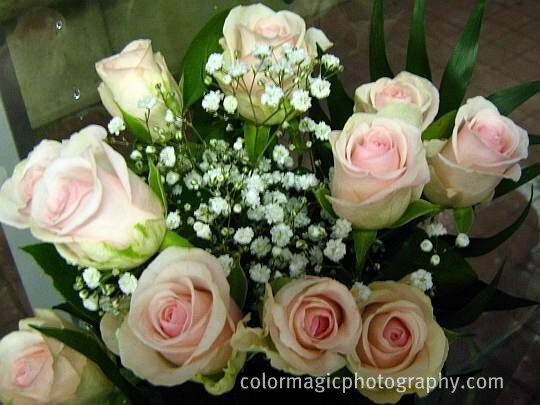 Blooms are produced in long pendulous panicles to 45 cm (18 in), having large pink petal-like bracts attached to the flower clusters. Grape-like clusters of small, pink berries follow the blooms, turning purple when ripen. Malaysian Orchid flowers are very ornamental in hanging baskets under trees or in the shade of a terrace. 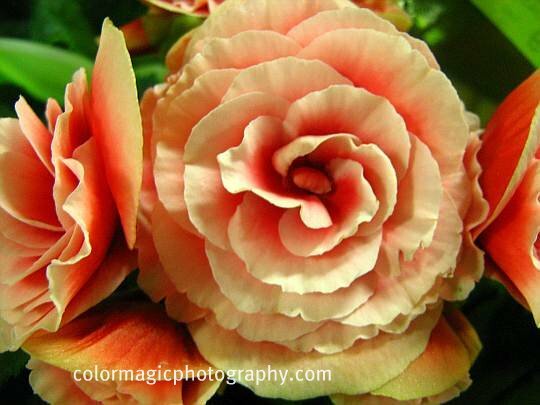 Like any tropical plant, it needs bright, indirect light, increased humidity and well drained soil. Being an epiphytic plant, orchid soil can be used in pots or containers. 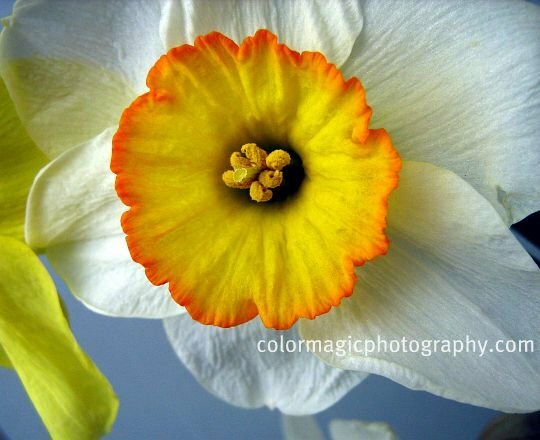 Welcome everyone to the 53 edition of Macro Flowers Saturday! Many thanks to all participants for your beautiful photos and lovely comment, keeping this meme alive. How time flies! It seems like yesterday when I started out this meme last spring and here is another spring, bringing new life and new flowers. I don't post any photo this week, just the promised video. The goal of this video was to give Macro Flowers Saturday participant blogs another link from the web's biggest social network, YouTube. Each of you, who didn't doubt my intentions and have sent their permission, have a link to their blogs from the video description page, at Youtube. Please take the time and watch the video. I've got a gift from some of you too, I was surprised to see that my photo was last week's favorite. That's really nice, many thanks for your appreciation. I don't post it here again but you can see my Calceolaria macro here if you wish. 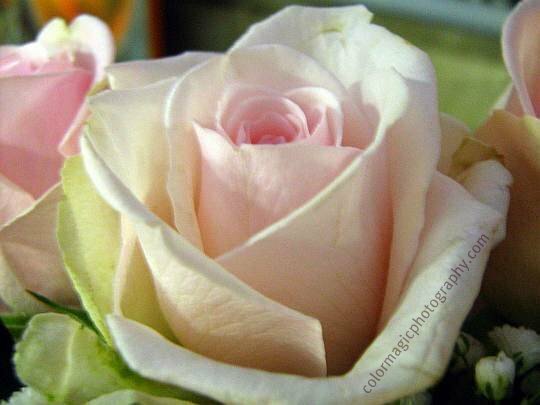 Join Macro Flowers Saturday, visit each other and have a pleasant stay! Please keep your name two rows short, the voting result cuts down the third row. 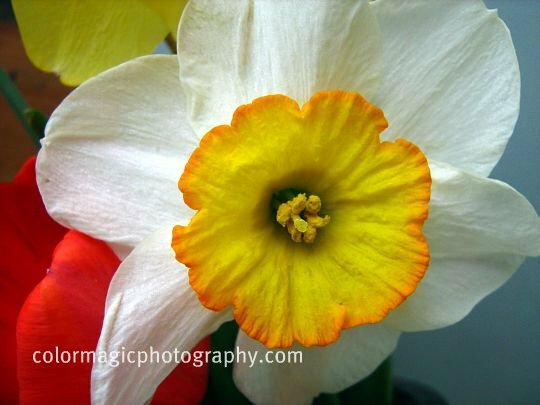 March 1 marks the first day of meteorological spring for the Northern Hemisphere, meaning that the coldest three months are now behind us and signs of spring should start to show up. The sun came out at noon to let us remember how spring feels like and the second: the flower prices hit the sky. Why? 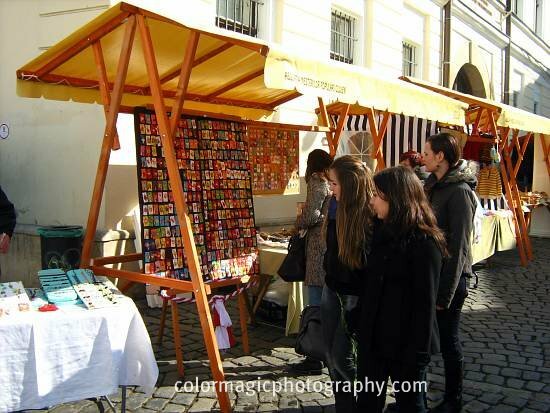 Well, we have this beautiful and sometimes costly custom called Martisor. 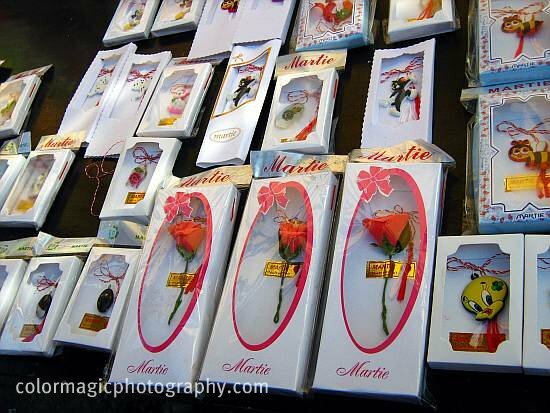 Martisor is a spring symbol in the form of an amulet, any kind of figurine, mostly handmade, with a white-red string attached to it. The string is a must. They are sold everywhere, is shops and streets. Accompanied by beautiful spring flowers, the Martisor is given as a sign of appreciation to women by friends, colleagues, children (even husband), on the 1st of March. 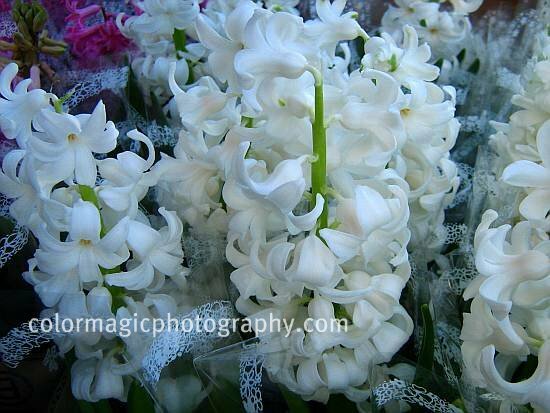 Hyacinth, as a symbol of rebirth, is one of the flowers of the day.